Applications are accepted beginning September 1. Priority consideration is given to applications received on or before March 1; applications received after March 1 are considered as they arrive and as openings are available. To be eligible for our kindergarten program children must be five years old by September 1st. For families with younger children please contact the Center for Early Childhood Education -- infancy through preschool at www.smith.edu/forthill. 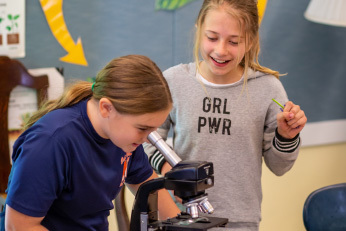 To fulfill our mission as the College's laboratory school, Campus School seeks to achieve a diverse student population in which varied backgrounds, perspectives, and traditions are represented. Our goal is to enroll and educate students who are able to work independently and as cooperative members of groups within the context of the regular classroom. Our programs are not well suited for children who require substantially separate educational services. The Admission Committee will review each applicant in the context of these goals. Parent and student interviews, academic history, and previous school records are all required components of the admission process, but a primary requirement is that the parents both understand and embrace the Campus School mission and educational philosophy. We are here to answer any questions you might have about our admission requirements. Please contact Maureen Litwin, Director of Admission and Financial Aid, at 413-585-3270 or mlitwin@smith.edu.